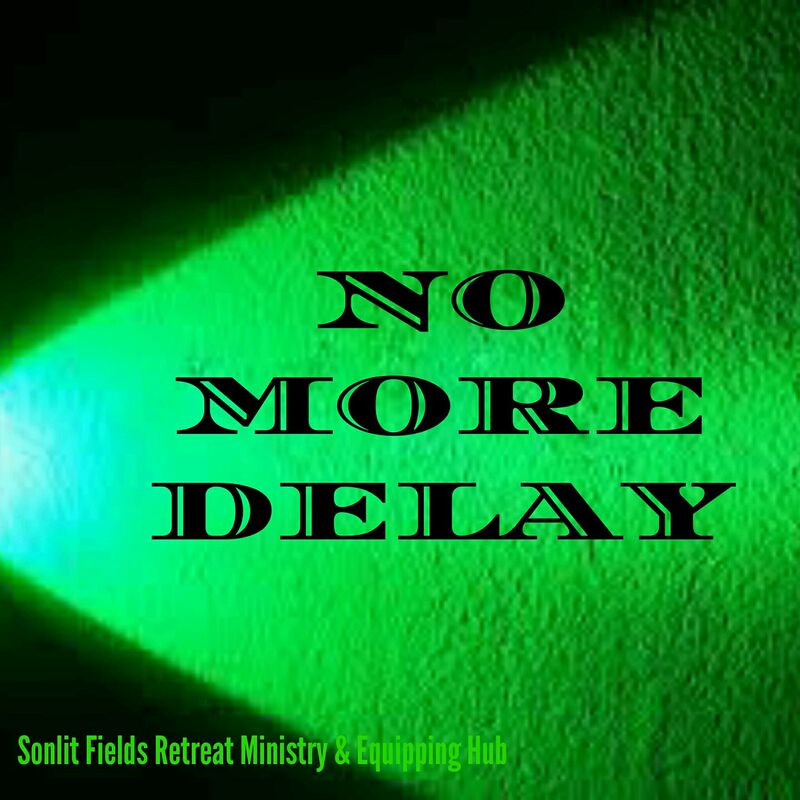 No More Delay - It's Time To Birth The Promises! IT'S TIME TO BIRTH THE PROMISES!!! It is uncanny how many people I know are seeing repetition in numbers. 11:11, 111, 444, 222, 333, etc. God often speaks to me using numbers, and often the time. 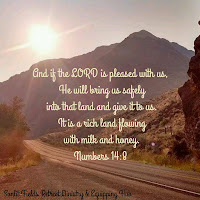 When He highlights a number multiple times, I take notice and begin to seek Him on what that might mean. Before we moved from Kansas City to El Dorado Springs, I saw 444 for months beforehand. The Lord showed me that this meant open doors. 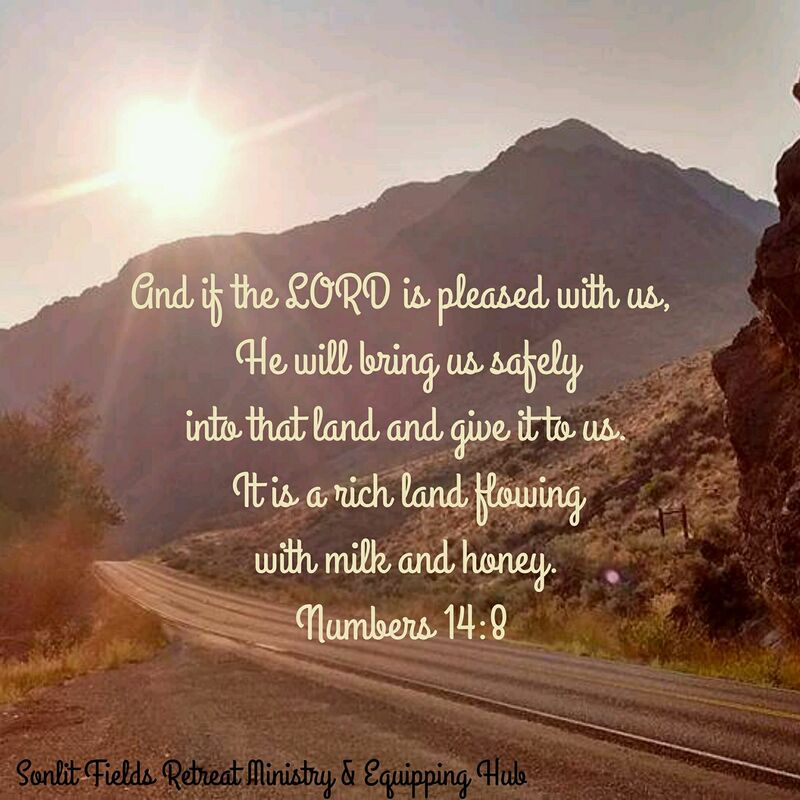 We had been praying and sensing a change and then suddenly God moved us away. For the past 2 years, I've been seeing 444 again....and have been strongly sensing a move. 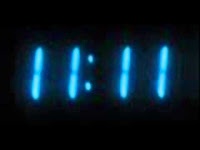 I've also been seeing 11:11 (and other numbers, but for this blog, focusing on 11:11). After multiple times over the past week or so, I asked God, what are you speaking for me? For us? I heard Hebrews 11:11 - the verse above. I asked Him ok, so am I getting pregnant? Ha! Ha! Ha! Ha! I have had in my spirit that this month, September is the month we will be birthing our destiny, my healing and a turnaround in our finances. I know, in the natural, there is absolutely no way we can see this happening. But if you look at this verse, Sarah wasn't looking at her natural circumstances, she was focused on the Lord = WHO IS FAITHFUL!!!!! That is where we are at. It has been a hard long journey. It is hard to be around people, because they ask, anything new on our "destiny". And our answer is the same. Not that we can "see". It's often awkward at best. I know some must think we are absolute fools! And then there are the few that really care and are walking with us, believing and contending for this dream to come to pass. In that moment, my tears went from tears of sorrows to tears of joy. God knew exactly what I needed to hear to give me strength and courage to press forward, once again. This Scripture is filled with NOW words. It sums up the words God has spoken to my heart in my quiet time and through other personal prophetic words. I don't know how!! I don't know exactly when! But, I do believe that my God, who is faithful is about to birth EVERY promise He has spoken to us. I believe this applies to others in the Body of Christ as well. It is time, we step into our destinies. There is such a great harvest to be harvested! Many hurting, broken souls that need Jesus! They need to know the love of the Father. They need to be set free from bondages, sin and addictions. It's time to be about our Father's business once again! NO MORE DELAY! IT'S TIME TO BIRTH THE PROMISES! Ken - Praise God - He was able to get another 15 hours painting this week. Pray that the lady will offer more. Ministry - Please pray God will bring forth the provision to fund EVERY vision He has given us.... as the verses said above.... and that it will be even this month (which is my birthday month and my birthday verse is Matthew 9:29 According to your faith, let it be done unto you! Birthing health & destiny would be the best birthday gift!! - the fires California, Montana, Oregon & Washington? Many of us are experiencing unusually long and prolonged trials and tests. It seems like things have kicked up a notch or two in the USA - with all the catastrophic events going on. Some voices call it judgement, others disagree. Either way, God is getting our attention. I am excited to see many Christians coming together in prayer and in unity to pray away the storms and for others who have jumped in to help those who have been affected by the storms. This is a beautiful picture of what I believe the Church is to be! I often ask why so much devastation, so much pain & sorrow? I want to understand what the Lord wants me to learn through these things. I don't always want to hear the answer, but in the end it brings peace and an ability to persevere another day or week. This article by Francis Frangipane hits home for many in this season. The book of Revelation mentions the word perseverance seven times for good reason. Over and over we see those who persevered and overcame. It is one thing to have vision and another to have godly motives, but neither will carry us to our objectives by itself. We must also persevere. 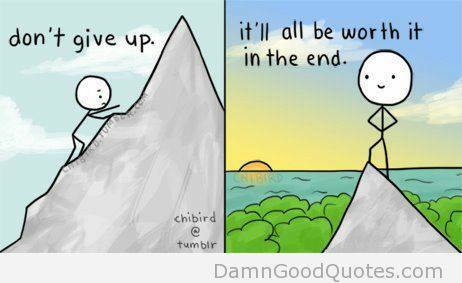 Consider this word persevere. Its meaning is rooted in the word severe. It is the exact opposite of lethargy. 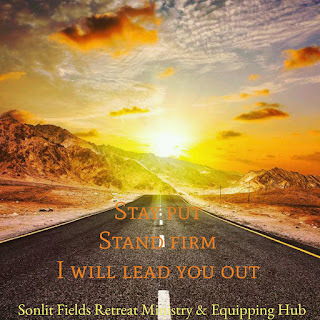 In other words, we don't just go one mile, but two; we contend for the faith; we wrestle against principalities and powers (Matt 5:41; Jude 1:3; Eph. 6:12). We are not wimps; we do not give up. We are soldiers who endure hardship. Even if we are knocked down, defeat is not final; we rise to fight another day (Mic.7:7-8). Even in the storms of life, surrender is not an option! Has lethargy or weariness quietly taken your energy captive? Then by the grace of God, let the Holy Spirit awaken within you today the perseverance of Christ. Indeed, "may the God who gives perseverance and encouragement" (Rom. 15:5) empower you to be the man or woman of God you were born to become. Today, I want to share an excerpt from my journal. I was asking the Lord - why the ongoing trials and hardships we are experiencing..........Here's what I heard. I Am showing you that you will not succumb to the fear, the trials and the circumstances. Succumb - 1. To submit to an overpowering force or yield to an overwhelming desire; give up or give in. 2. To die, especially from a disease or injury. Greater is I AM that lives in you than he that lives in the world. Nothing will take you out before your time. You will know when My timing for your arrival in heaven is - peace will be overwhelming and you will be rejoicing. If you don’t experience that, then know that I will deliver you through and out of your circumstances. Just like the disciples - get in the boat and go to the other side. Even know storms came, I brought them safely through to the other side. I believe that God is strengthening us and teaching us how to persevere. Recently I was on the phone with Joey, a friend who has been helping us walk out this faith journey - believing for the huge promise for our destiny. He said often our walks with the Lord are like a row boat with two paddles. One paddle is "faith" and the other is "patience/perserverance". If you just used faith, you would paddle yourself around in a circle. If you just used the patience paddle, you would still only go in circles. But, if you use both equally, you will keep moving forward. My prayer is that each of us learn how to run this race - with perseverance, patience and faith. My prayer is that none should perish, that many will come to know the Lord Jesus Christ through these storms, these fires, these earthquakes and other devastating loss. We as believers need to choose to rise above the storms of life, to be a bright light and show hope and comfort to those in need. Today, tomorrow and everyday, ask the Lord who you can bring comfort to? How can you help encourage someone to persevere another day? What if you are the only one in their path today who will listen and heed God's voice to act! (This doesn't mean you to have to hear an audible voice or a still small whisper - the Bible gives clear instructions on what we are to do as followers of Jesus Christ) Some say, oh that's not my calling, I'm called to such and such. if it's in the Bible, it's meant for you too!! No more excuses! Time is short and we must be about our Father's business. Ken - The painting work stopped a couple of weeks ago. So he's back to 20-25 hours a week. Please pray for additional work and income to become available. Please also pray for his back - it's been spasming a bit. Michele - Please continue to pray for health - sleep, pain & fatigue. Canyon - He is still plugging along. God is definitely sustaining him. So love having him around and yet know his time is coming to an end. 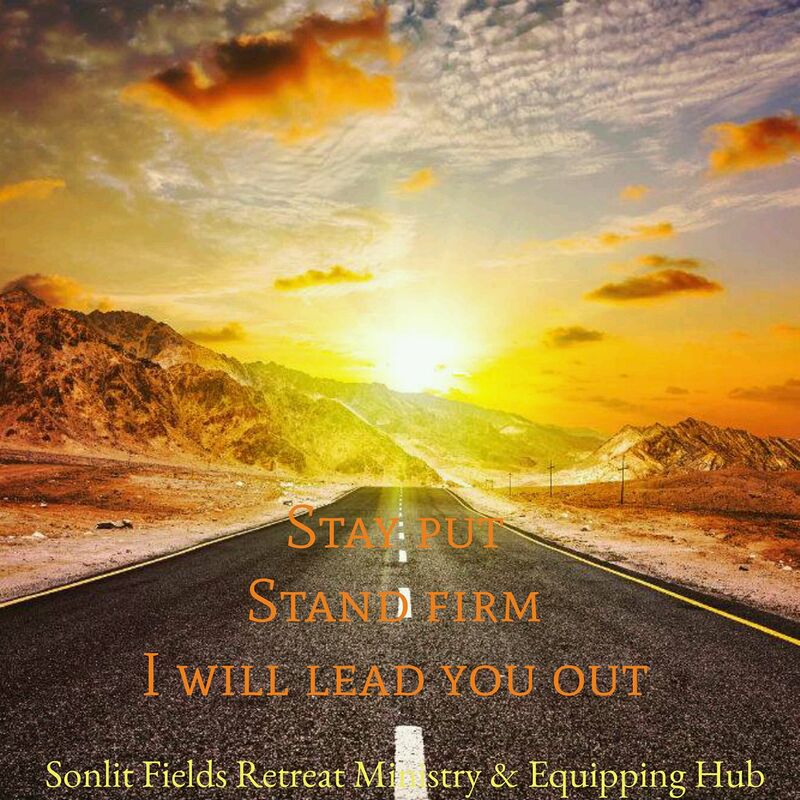 Ministry - we are still believing and contending to step into destiny. It has been quite the emotional roller coaster this past month or so. It seemed like January to August there had been so much momentum in many ways, and now things are quiet. Thank you to those who are praying for us and believing with us.